Usually our blogs are full of useful and educational information on maintaining your dental health. But at the Lewisburg dental office of Dr. Lawrence Winans, we’re not only about educating, we also like to share some of the fun facts about dentistry we find so interesting. Speaking of tooth enamel, it is, in fact, the strongest substance in your body. But that doesn’t mean your teeth can be used for ripping open a pesky package or to crack open that tightly sealed bottle. Using your teeth as tools can result in chipped or broken teeth in Lewisburg, and nobody wants that! Even though we promised to cover fun facts in this blogs, we can’t help but include a little at-home tip for good oral health. On average, people only brush their teeth for about 48 seconds every day. That’s not even half of the time we recommend! Both our Lewisburg dental office and the Academy of General Dentistry recommend brushing for at least 2 minutes each time! At the dental office of Dr. Lawrence Winans, we’re all about making sure your smile is kept in its best shape and educating you on how to make that happen. But we’re also about making dentistry fun and interesting. So if you’re overdue for your oral exam, or if you’re looking for a new dentist in Lewisburg, give us a call today! Cavities. Nobody wants them, yet a lot of us get them. And while most of us know that cavities aren’t a good thing, many people can be confused about what really causes cavities. 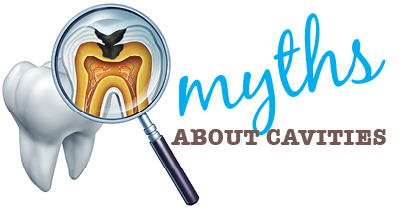 At the Lewisburg dental office of Dr. Larry Winans, we’d like to debunk some of the most widely accepted cavity myths so our patients can understand what causes these pockets of decay. There is some truth behind this statement, and maybe that’s what causes the confusion. While sugar itself doesn’t cause cavities, carbohydrates like sugar cause bacteria in your mouth to produce acid. It’s this acid that actually eats into your teeth and causes cavities. Not necessarily. Tooth sensitivity doesn’t always mean that you have a cavity. It could be that you just have sensitive teeth or perhaps a gum has receded and exposed the root. Whatever the reason, if you’re experiencing sensitive tooth pain, it’s important that you visit your Lewisburg dentist as soon as possible so we can work together to correct the sensitivity. This myth is one that’s most concerning to us. 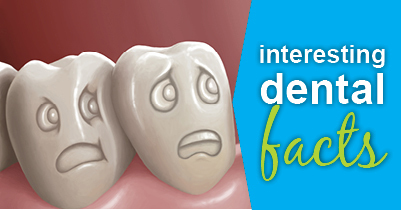 Mild tooth decay doesn’t cause any symptoms. It’s when the decay becomes more advanced that we begin to experience the pain associated with a cavity. When the decay is advanced enough to cause pain, you may often need more extensive treatment like a root canal. This is one reason why keeping up with your dental exams is so important — so we can catch any problems before they become big problems. If you’re due for an exam, call our Lewisburg dental office to schedule an appointment today. We’ll perform an in depth exam, work together to fix any issues we may find, and make sure to get your smile in its best shape.